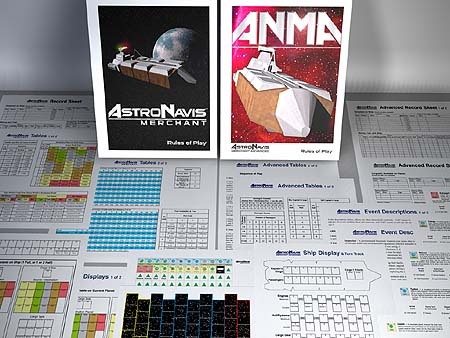 AstroNavis Merchant Advanced is a solitaire freight shipping boardgame set on the frontier of human space in the 2310s. Hoping to make your fortune, you've traded everything you owned for an old, worn-out tramp freighter. You'll have to take it beyond the relative safety of the Alliance worlds to the rough frontier planets bordering alien Hovahlen space. It's a risky gambit, and making poor choices in cargoes could result in losing everything, including the ship. Will a corrupt port boss need to be bribed? Could expedited unloading/loading allow you to move out ahead of schedule? Will picking up passengers or speculative cargoes provide unexpected profits, or will smugglers or stowaways get you in trouble? Judith Krauss 10 9 9 Wonderful solitaire space merchant game. steven wass 10 10 10 great space trading game, captains log makes a good narrative. Steven Robinson 7 5 7 A nice mix of exploration and econimics. 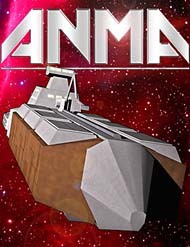 Plays very well, The advanced version adds more gameplay and to the replay factor. Scott Lewis 7 8 7 An interesting and entertaining game, can be made portable with magnets and such. Robert Ott 9 8 8 Nicely done game. A lot of fun, but I find it much easier to use the record sheets rather than the ship displays. David Valenze 10 10 10 Love the game. Eagerly awaiting more in the series.